Prepared with lots of love and a good helping of chocolate chips and walnuts! What a perfect way to start your morning or enjoy as a mid-day snack with a cuppa coffee or tea. This recipe makes 18 medium sized muffins. 1½ tsp bicarbonate of soda. ¼ cup of normal tap water. In a bowl, whisk together the cake flour and bicarbonate of soda. Fold in the chocolate chips and walnuts and set aside. In your mixer bowl, beat the sugar, oil and mashed bananas till well combined. Add the water and vanilla essence and mix again till combined. Add the flour mixture and with the mixer on low, beat until well combined. 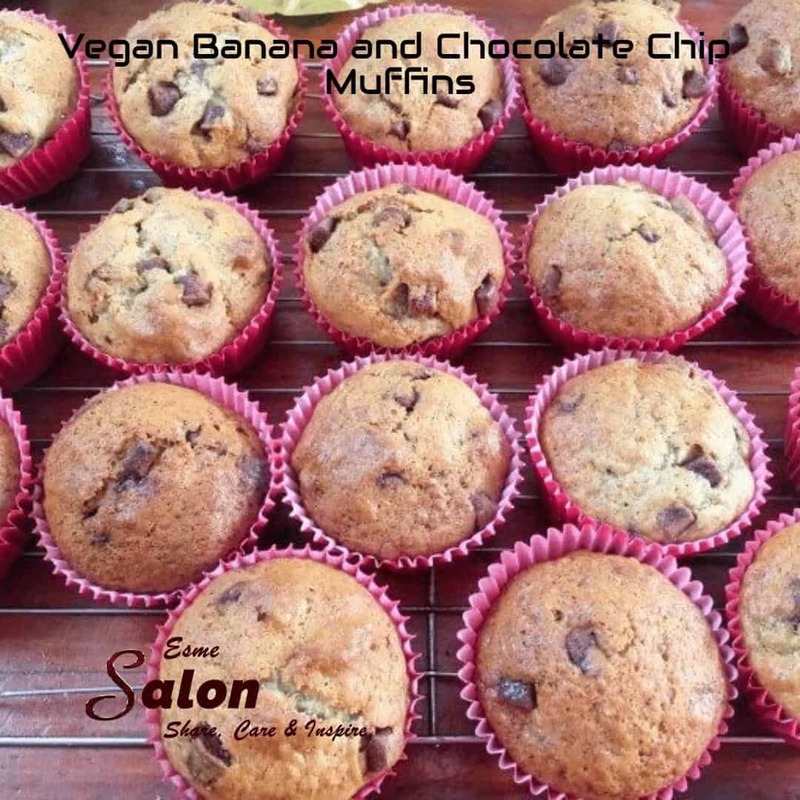 Fill your muffin cups halfway and pop into a preheated oven. Bake the muffins at 180 degrees for 15 – 20 minutes, or until your cake tester comes out clean. More Vegan Muffins should you need some variety.